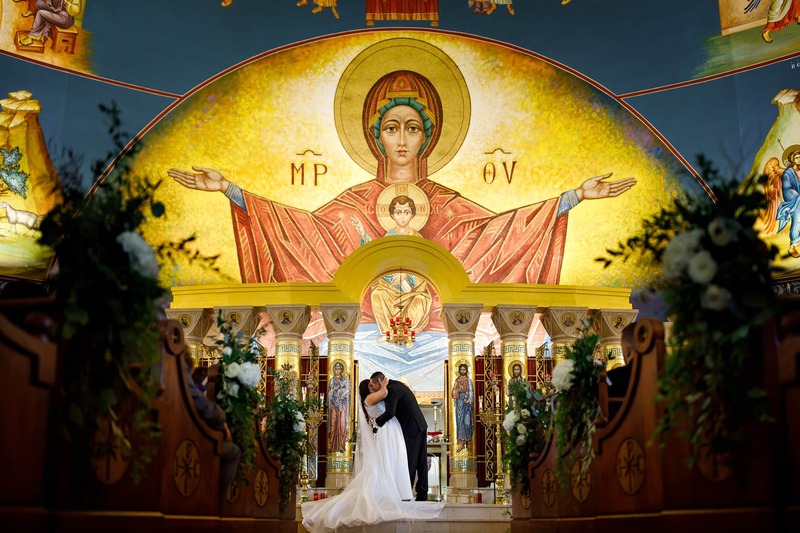 The gold dome on the hill houses the Assumption of the Theotokos Greek Orthodox Cathedral of Denver and puts on many weddings each year. 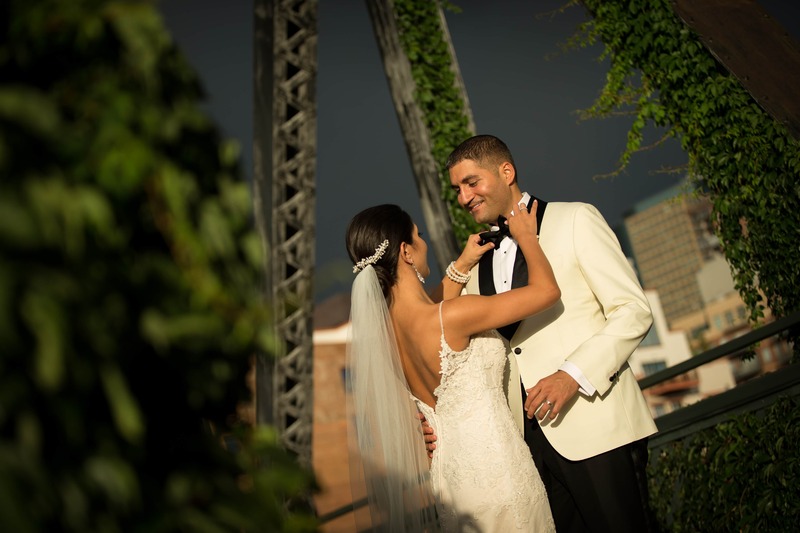 The Orthodox Cathedral of Denver is a popular Greek wedding venue in Denver because of its beauty and ability to host large weddings. The ballroom can accommodate seating up to 500 guests and the annunciation room can seat up to 320 guests, both with a dance floor. Both spaces are fairly plain so you can decorate it to really make it your own. The iconography within the sanctuary is unforgettable and leads to amazing photographs. However, there is very limited photo locations outside near the chapel. I’d plan time to drive to a nearby park or downtown for some creative locations. The cathedral is located not too far from Cherry Creek which is a great place to get ready at one of the many hotels in the area. This is easily my favorite church I've ever photographed a wedding in. I've done more weddings here than any other venue and never get tired of the stunning sanctuary. There is lots of room to move around to capture different angles of the ceremony.